Today’s manufacturing techniques are constantly changing and improving. 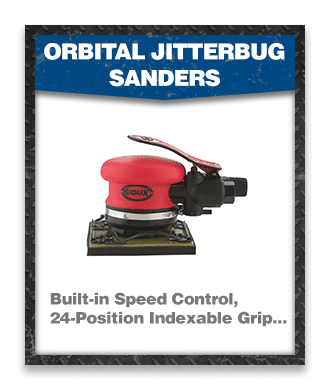 This has increased the demands for sanders, polishers and buffers, making them a key segment of the process. Improvements in the industry now result in less waste on castings and molded parts, which shifts the emphasis from material removal to surface finishing. 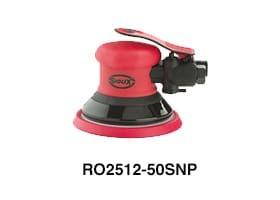 Sioux Tools offers a complete line of state-of-the-art orbital sanders, polishers and buffers that will produce the quality finish you require on your final product. Sioux sanders are engineered to cover the full range of applications in metal, composite, and wood finishing. 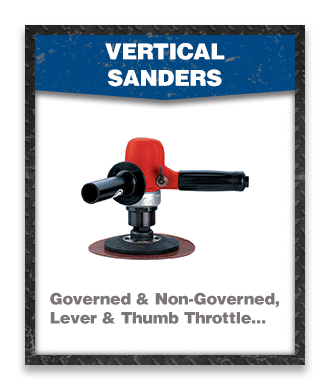 Our innovative, lightweight designs ensure they perform to the highest standards while still being comfortable to operate. 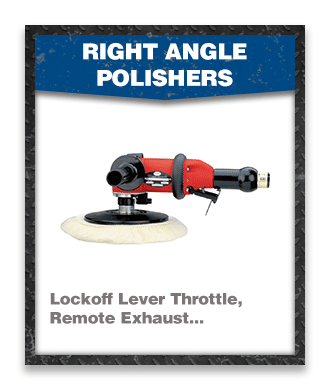 Each delivers unsurpassed power and performance, resulting in the perfect finish. 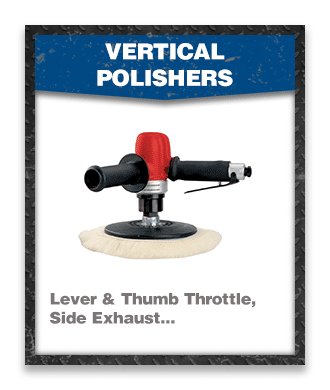 Different applications require different finishing tools. That’s why Sioux Tools offers a variety of sanders and polishers with a wide range of configurations. 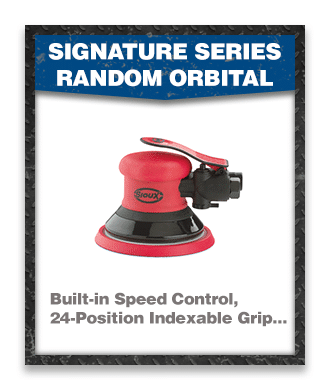 The RO2512 Series Random Orbital Sanders come with an orbit diameter of either 3/8″ (10 mm), 3/16″ (5 mm) or 3/32″ (3 mm) and a choice of non-vacuum, self-contained Venturi vacuum or remote vacuum ready. 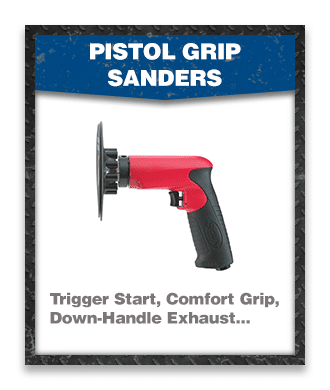 We also offer pistol grip, right angle, vertical, and straight sanders and polishers. 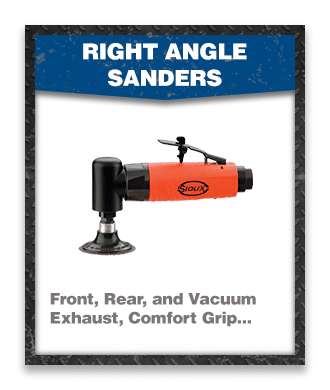 Many of these come with your choice of throttle controls that allow the operator to work the way that’s most comfortable.